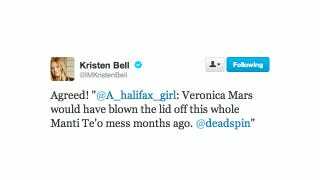 In today's Tweet Beat, Veronica Mars is sorely missed. A very special person wishes another very special person happy birthday. Cher has us itching to set our DVRs. And M.I.A. is upset.